They say “you’re only as old as you feel,” and if you have ever caught yourself wondering, “why do I feel tired all the time?” you are not the only one. After all, this is one of the most common questions people ask doctors and Google. So if you are running behind and struggling to bounce back into action, check out Masala’s eight science-backed ways to refuel your tank when your energy levels barely cease to exist. 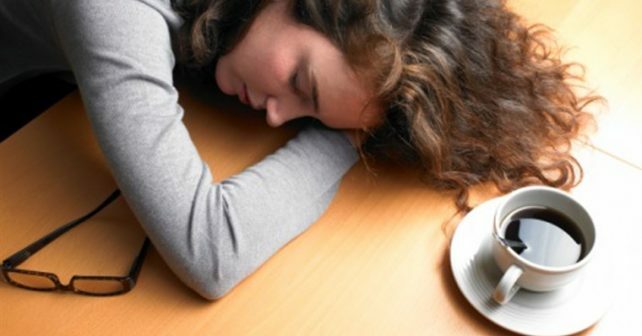 When that feeling of exhaustion hits, most of us grab a snack, drink caffeine or surrender to a nap. However, the best way to get back to your vibrant and energetic self is to actually engage in physical activity. Not an avid runner? No biggie! Circulation is key to healthy tissues, so even a 15 minute walk can give you the necessary energy boost. Tip: Although almost any exercise is great, yoga is especially effective, as it releases blocks of energy along the spine. When you sleep, your body continues to use what you consumed the night before to keep your blood pumping and oxygen ﬂowing. So when you wake up the next morning, it’s vital you refuel with a breakfast that includes a mix of nutrients and essential food groups. This habit also prevents unhealthy snacking, which will help you lose weight in the long-term. Skip it and you’ll feel sluggish. When looking at fatigue ﬁghters, you must consider protein! Fish contains healthy omega-3 fatty acids, and therefore, boosts energy by reducing cellular inﬂammation. Opt for small, oily ﬁsh that are at the bottom of the food chain, such as herring, anchovies and sardines. If your diet doesn’t include animal products, go for plant-based proteins, such as nuts and beans. Maintain your distance from processed foods, such as boxed meals and precooked meats, as they are full of added sugar and artiﬁcial ingredients. These products hijack the biochemistry of the brain, which leads straight to addiction. Instead, opt for a healthy bite that combines protein with complex carbohydrates, such as hard-boiled eggs with whole wheat toast. Being slightly dehydrated, even as little as 2 percent of normal ﬂuid loss, takes a toll on energy levels. Carry a water bottle and take sips throughout the day. Avoid energy drinks, unless you are engaging in high-intensity sports, as they are full of sugar and artiﬁcial ﬂavours that your body doesn’t need. Just a glass of water will do the trick! Stress is positive only if short-lived. Going through intense psychological or emotional stress for weeks or months will crash your energy levels faster, which in the process will most likely impair your judgement and work skills. To cope with anxious thoughts, engage in activities that relax your mind, such as meditating or listening to music. I may be stating the obvious, but insufﬁcient sleep presents an enormous energy drain. Getting over your slumber demons is particularly difﬁcult if you are a night owl or a workaholic. So if you feel groggy during the day, take a power nap for a quick energy boost. Twenty minutes is widely believed to give you all the beneﬁts you need, including improved alertness and a better mood. The media surrounding us offers sensory experiences, which leads to an overload of information leaving us depleted and fatigued. So shut down the screens and log into life instead. Engage in activities that will nourish your body and spirit without the assistance of technology.